The sands of the Rajasthan desert glow dusty gold in the sunset. Smoke from campfires turns the scene into a smudged shadow play of silhouetted turbans, camel humps and tents. The evening is redolent with the smell of dung, burning wood and spices—and the sounds of horses whickering, the belching snort of camels and the tinkling of silver anklets. I am in Pushkar, one of over 200,000 visitors—pilgrims, tribals, tourists, performers and cattle breeders. Set within the folds of the Aravalli hills, Pushkar is a tranquil little village for most of the year. But at Kartik Purnama (the new moon) in November each year, Pushkar explodes into Rajasthan’s most exuberant festival. 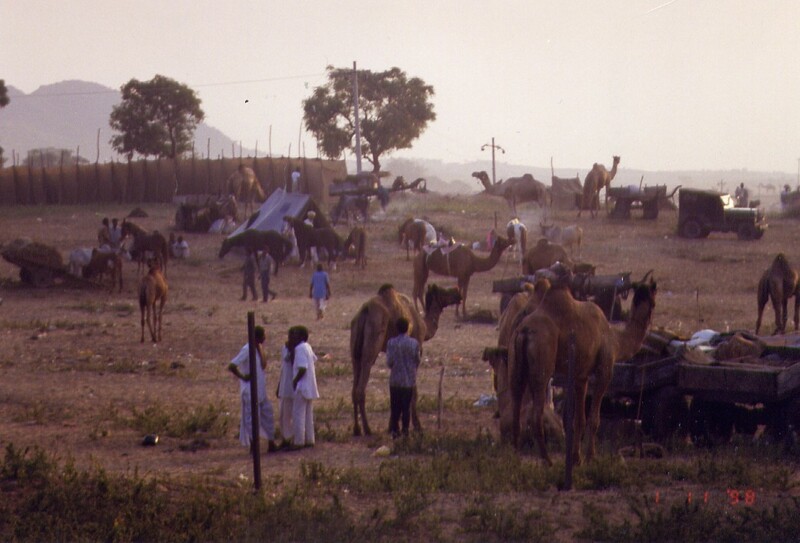 Over a period of four days, herdsmen and camel dealers gather to scope out markets for buying and selling their animals, marriage alliances are negotiated, gossip exchanged, and the temples on the surrounding hills are thronged with worshippers. It all started when a god’s wife went into a royal snit. Aeons ago, Brahma the god of creation was cruising around on his celestial swan, scattering lotus petals and looking for a special site for his abode on earth. One of the petals fell at Pushkar and formed a lake. The Creator was thrilled. It was the perfect spot. Priests bustled around in preparation for the dedication ceremony, the sacrificial fire was lit, and everything was set to go. But Brahma’s consort Savitri hadn’t turned up. The yin-yang (male-female) wholeness was crucial to the rites. Worse still, since the configuration of the stars had to be just so, the auspicious hour was zipping by all too quickly. Brahma fumed. The priests frantically produced a young milkmaid, Gayetri from the congregation. “A spouse, any spouse, will do,” they urged, so Brahma agreed and the ceremony commenced. Well, when Savitri arrived there was heck to pay. She’d been selecting her outfit, putting on her make-up, chatting with the wives of other gods, comparing notes on hair styles and so on. A goddess can’t be expected to rush that sort of thing. And who was this Gayetri woman anyway? Infuriated beyond measure, Savitri promptly put a hex on Brahma. Pushkar would be the only place in the length and breadth of India that would worship him—and that too, for just four scant days every year. Then she stormed off and immolated herself on a nearby hill which is marked today by a temple. And Pushkar is still the only site—probably in the world—dedicated to the worship of Brahma. Early the following morning, I make my way to Pushkar Lake. This is the mainstage for Pushkar’s annual rites to the mighty Creator. I squeeze through a shifting mass of devotees, tourists, camera-crews and foreign journalists, to the water’s edge, where saffron-robed priests chant hymns to the accompaniment of drums and wailing conch-shells. A disembodied voice blares through a loudspeaker, warning people to keep an eye on their possessions and their children, and not to crowd together too closely. Canute talking to the waves: nobody pays the slightest attention. Women, fully clothed, sit immersed in the shallows, floating their offerings of marigold garlands on the lake’s surface. Men scoop the sacred waters into their hands and chant mantras, as they lift their cupped palms to the heavens. They then reverently drink the water which is reputed to have miraculous healing powers. Sadhus with matted dreadlocks and tridents at hand sit in the lotus position on the banks; some ascetics are naked, except for grey ash smeared over their faces, hair and bodies. A few hours later the sun has begun to brazen its way across the sky, turning the scrubland of the surrounding desert to burnt umber. After breakfast, I shoulder my way through the narrow lanes leading towards the fair-grounds. Village women flutter along the streets like tropical birds; they wear peacock blue or parrot green veils and swirling skirts, their necks, arms and ears bedecked in silver filigree jewellery.  I dodge past cows, their horns painted and hides daubed with colour, and gaily cparisoned camels. Sidewalk stalls display a gaudy cornucopia of wares: perfumes, embroidered shoes, and tie-dye cotton kurtas. A bracelet inset with intricate bead and mirror work catches my eye and after some haggling, the seller (with an exaggerated show of reluctance), hands it over for twenty-five rupees. An hour later, I eavesdrop on a Rajasthani village belle bargaining over the purchase of an identical bracelet from another hawker. She gets it for ten rupees! The sun is fierce now, and I sit on a rickety wooden bench in the shade of an awning, to watch an open-air folk dance performance. The rhythm of castanets, the riffs on stringed instruments, and the passionate love songs and laments, remind me of the fact that the gypsies originated in Rajasthan, having migrated from here to Hungary, Romania, Italy and Spain. The women flash embroidered mirror work in the swirl of their skirts, and the men wearing enormous pink turbans, hip-strut as they drum their feet to the beat of a tabla. The dance troupe re-enact the pageantry and drama of ancient Rajasthani myths and legends, and the performance closes with a woman dipping and swaying as she balances five earthenware pots stacked one above the other on her head. When I arrive at the racing arena, camels and horses are being readied for competitions. A young man sits near me on the tiered stands and introduces himself as Jaisingh Rathor. He goes on to explain that the horses, now lining up at the far end of the field, are unique to Rajasthan. Originally bred in the royal stables of Jodhpur as polo ponies, they are now an intrinsic part of India’s cavalry regiments. They are small, tough, and have inward-twisted ears as their distinguishing feature. The camel parade starts with the animals loping in a circle, their heads tightly reigned in to control their pace and direction. They gradually pick up speed, urged on by cheers from the crowd. As the performance closes, Jaisingh asks whether I’d like to meet a camel trader. Balsingh wears baggy pants, and a purple mirror-work embroidered vest over his loose-sleeved cotton kurta. His braggadocio is almost as extravagant as the moustache which leaps off his face like parentheses curled alongside his arched nose. His camels, he claims, have won first prize in Pushkar’s camel racing competitions for the last ten years. He has sold four this year and has made one hundred and seventy thousand rupees on the deal. Jaisingh acts as translator, and conveys the message straight-faced, although his eyes are dancing with suppressed mirth. Camels, he tells me in an aside, actually sell for around ten thousand rupees each. It turns out that Balsingh has also just arranged a highly desirable match for his son. With another camel dealer. Part of the dowry is twenty camels, he says. Balsingh pauses to regard me speculatively. Would I like to visit his village as an honoured guest? He has fifty acres of pastureland a house that has twenty-five rooms...lots of space for me. I make non-committal noises. Balsingh takes this to mean I need reassuring. He tells me that a young American woman spent a whole month in his house three years ago. She still writes to him, but he can’t read English. “She was a ‘special’ friend” he says to Jaisingh with a wink. He then adds that he’d be happy to have me as a “special” friend too. On the final day, as the fair begins to wind down, departing camel caravans and bullock-carts carrying home-ward bound families, clog the road leading out of Pushkar. The glitter and excitement is over, and Brahma will slumber under the desert sun for another year. 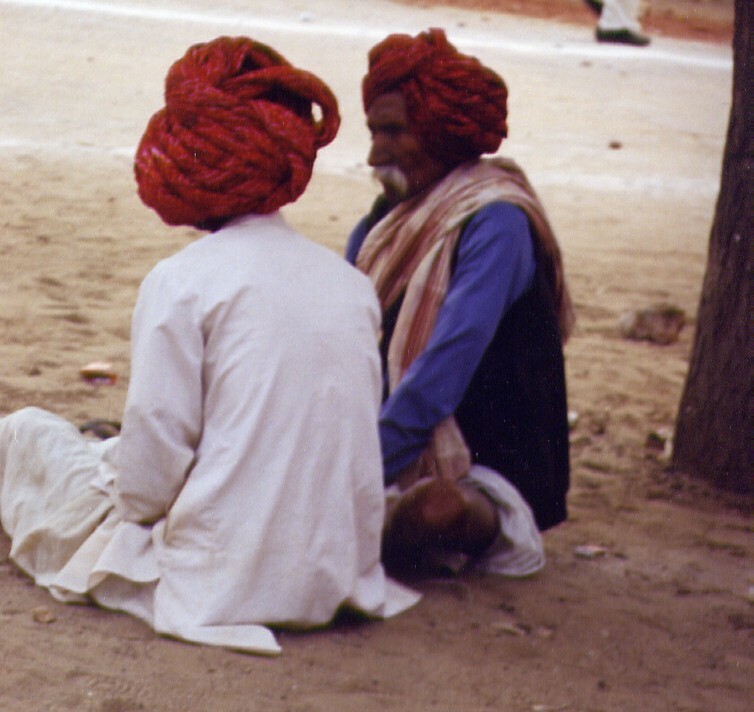 And I’ll remember Pushkar, its music, its colour and its spectacle—and as the place where I was once propositioned by a roguish camel dealer.